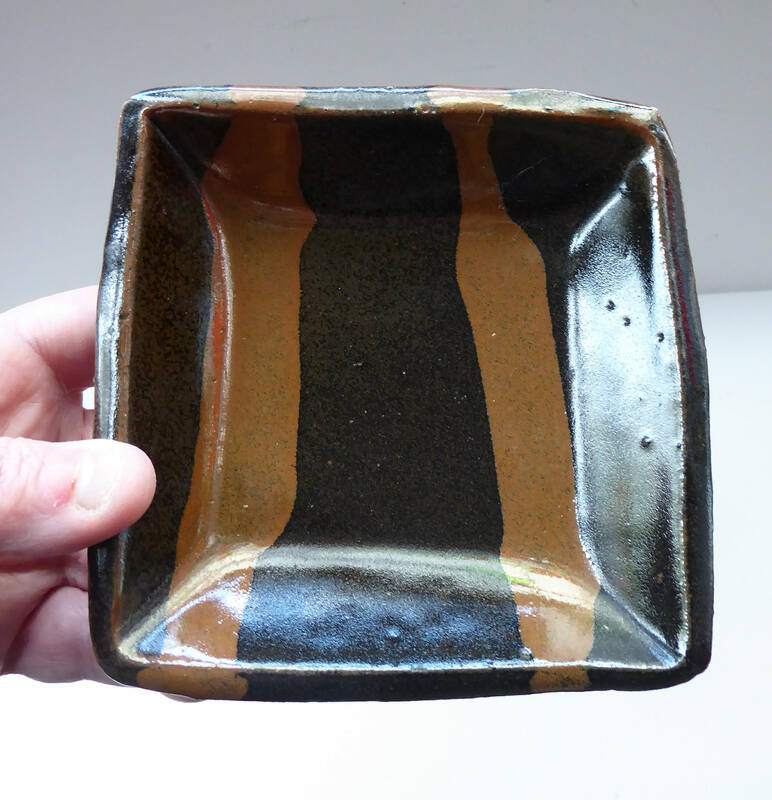 Very Collectable Piece of British Studio Pottery, from St Ives, Cornwall. 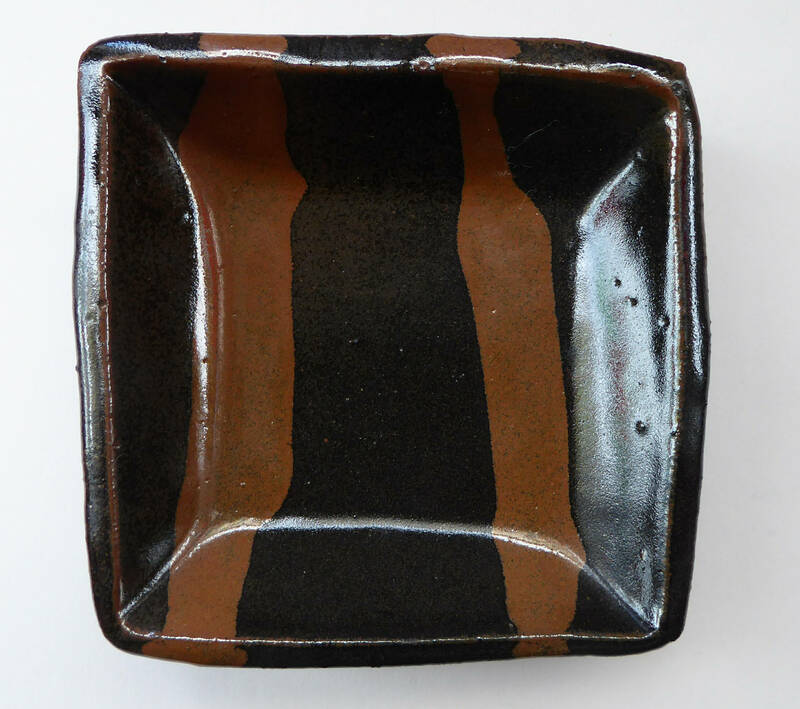 This is a small square stoneware dish with a Tenmoku Glaze by the celebrated art potter, Janet Leach (1918-1997). The dish has four little raised feet on the base. 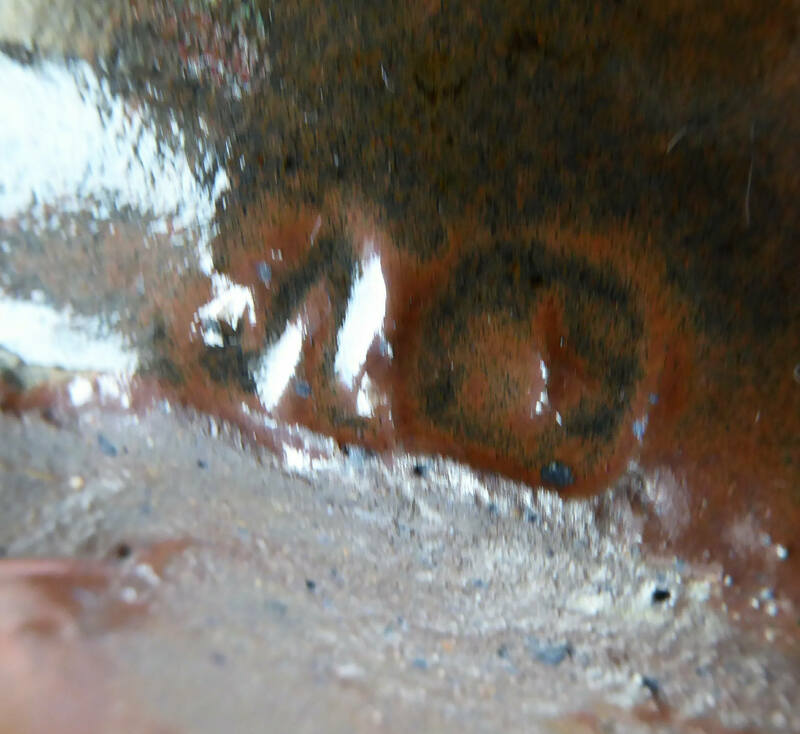 It is marked on the side with the St Ives seal - and also the one used by Janet Leach (as photographed, the marks have been flooded with the glaze in firing - but you can see them more clearly in "real life"). 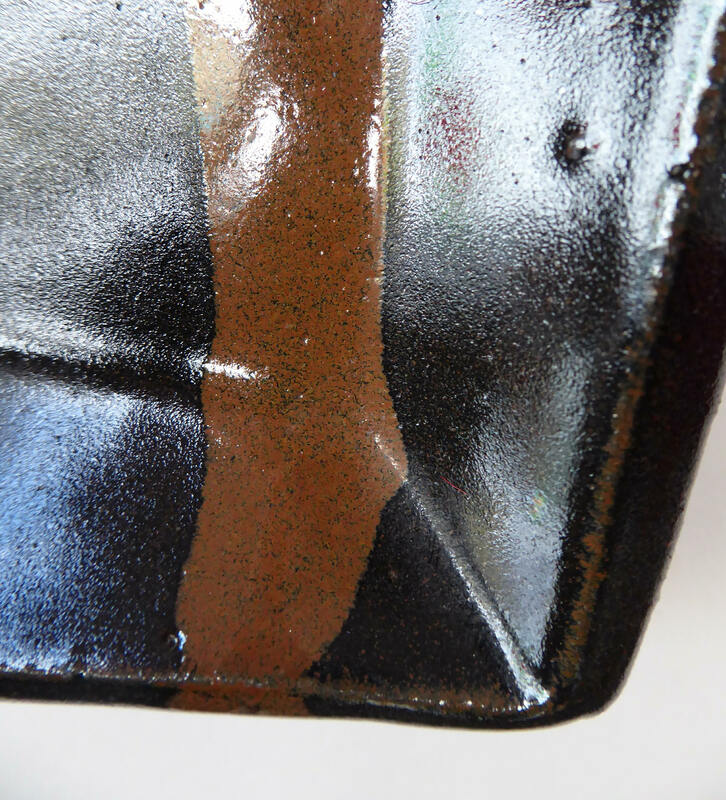 It is 4 3/4 inches square (11.5 cm). 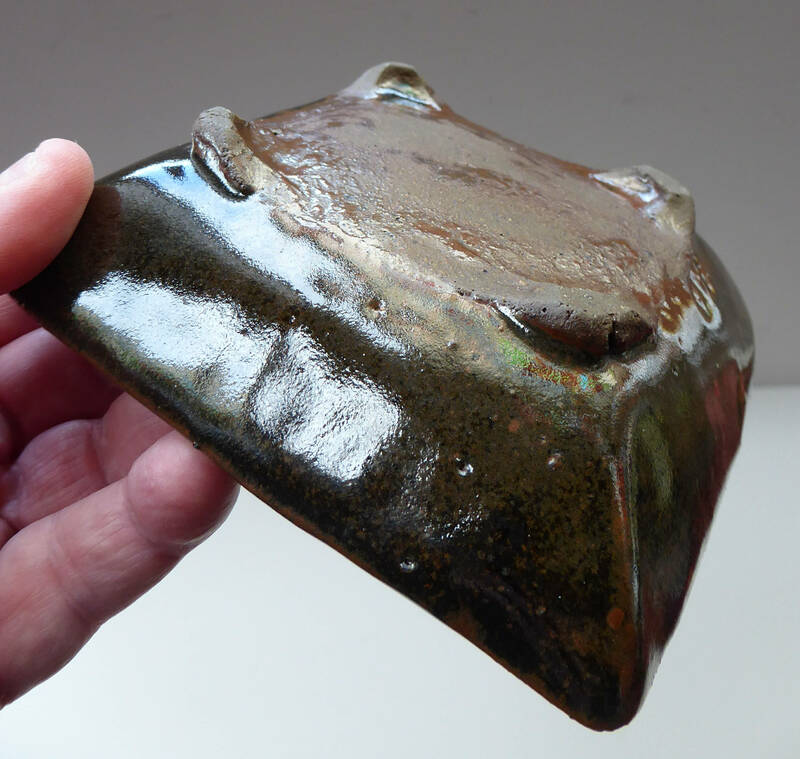 Janet Leach was one of the the most important and influential studio potters of the 20th century. Despite being married to Bernard Leach and her commitment to the Leach Pottery at St Ives, in Cornwall, she succeeded in establishing her own international reputation in the 1970s and 1980s. HAPPY TO POST INTERNATIONALLY, PLEASE ASK FOR A POSTAL QUOTE OUTSIDE OF THE UK.